Hotel Atlántico is on Playas del Este, one of such precious Caribbean beaches, where guests can stroll or relax. Offers not only a typical vacation experience under the sun and on the beach along with the convenience of All Inclusive but also an exciting opportunity to discover the charming colonial Habana, which, at 20 km away, can be reached via the hotel’s courtesy bus service. The hotel offers 92 rooms distributed over 3 floors in two buildings, surrounded by luscious gardens. All rooms are equipped with air conditioning, telephone, satelite TV, minibar, security box, private bath with hair dryer, and balcony or terrace. Most rooms have a seaside or poolside view. Maximum occupation per room is 3 adults or 2 adults and a child. 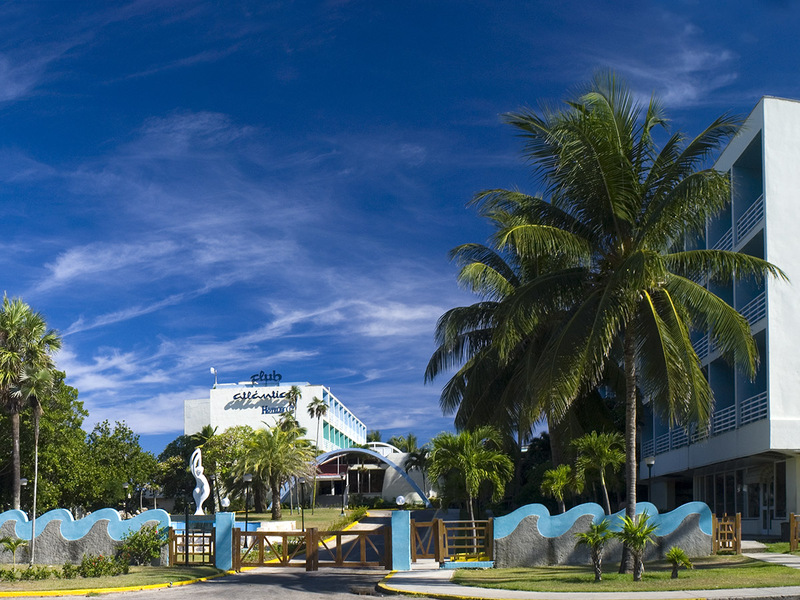 The hotel offers an All Inclusive service that includes 1 buffet restaurant, 2 a la carta restaurants: the “Caribeño” with a delicious international cuisine, and the Ranchón “Balcón del Atlántico” over viewing the sea also specialized in seafood, shellfish and grilled meat. 1 snack-bar for light meals and sandwiches and 2 bars with refreshing cocktails and mixed beverages 24hrs a day. Games & sports: volleyball, tennis, football, petanque, billiards, ping pong, etc. Nighttime entertainment programs performed either at the hotel conference centre or next to the swimming pool: group dance, synchronized swimming, Cabaret night, etc.